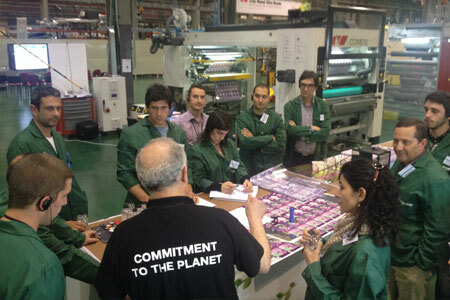 Aimed at operators and professionals responsible for sections, who want to learn and broaden their knowledge about flexography, laminating, slitting, maintenance and rotogravure. The advanced technical workshops are focused on different processes within the flexible packaging and converting section, as well as trends and day-to-day problems: webs and materials, printing, inks, laminating, adhesives, maintenance, typical defects, pre-printing, among others. To do this you will have the best professionals in each subject area, whether they are from Comexi, Comexi CTec or external co-operating firms, in complete workshops of 2 to 4 days, on the Comexi and Comexi CTec premises. You will acquire theoretical knowledge which will help increase your confidence in the machine’s operability after various practical work sessions, focused on resolving problems, improving efficiency and optimizing performance. You will also share professional experiences and interact with other professionals in the sector. 4-day course. 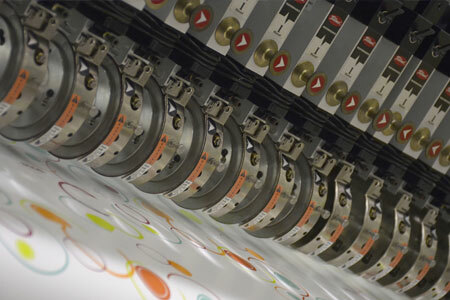 We deal with key machine factors, key printing elements, inks and inking with ink troubleshooting, standardization, productivity and pre-printing. Aimed at: Plant managers, section heads and other middle management and experienced printers. 3-day course. We revise the four elements involved in laminating: machine, adhesive, support and process. Aimed at : plant managers, section heads and other middle management and experienced printers. 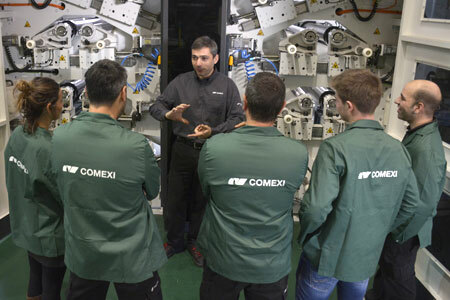 4-day course (3 on the flexo machine and 1 on laminating and slitting). 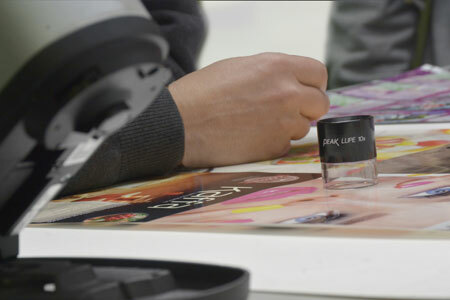 We revise the main aspects of maintenance to be carried out by the maintenance team on their own, both on the flexo machine and on the laminating machine and slitter. Aimed at those in charge of maintenance and experienced operators. 2-day course. Technical seminar on colour, applied to the flexography industry with the participation of reference experts in the colour sector. Aimed at professionals in the flexible packaging sector. 2-day course. 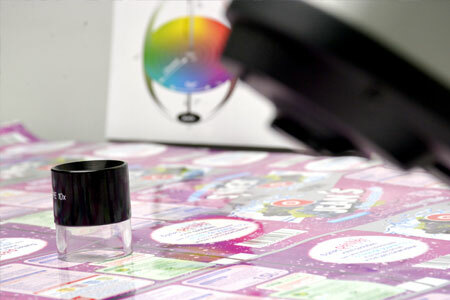 The aim of this course is to improve flexo printing, and help you acquire tools and methodologies to analyse variables and possible causes, and determine the best options for solving printing problems. The operator will improve his printing ability and skills. Aimed at flexographic printing press operators and heads of production in the flexographic industry. 2-day course. Optimization and improvement of the efficiency of the slitter, reviewing concepts and elements of the cut, configuration of the slitter depending on the requirements, automation and productivity, and trends such as robotization, laser in line. Aimed at: operators and professionals for the slitting and rewinding process who want to learn and deepen their knowledge.